Venice MainStreet, Venice’s proud promoter of preservation and economic vitality for all things Downtown Venice, has named Emilio Carlesimo, former City of Venice Councilmember, to head an extensive membership initiative for the organization. Founded in 1987, Venice MainStreet is a volunteer driven organization that is accredited through Florida and National Main Street Programs. VMS is united with over 1,000 other Main Street Communities across the country. In coordination with Venice MainStreet mission, Emilio will steward the way to enlist more downtown merchants on the “Avenues”, business owners outside the downtown district, and ask for community memberships to form a more united Historic Downtown Venice. 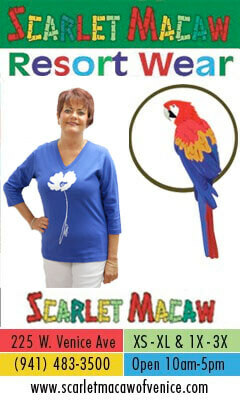 Emilio and his wife Brenda Lee Carlesimo have lived in Venice 28 years. Elected to City Council in 2009, Emilio served two three year terms. He is currently a member of Epiphany Cathedral Catholic Church, serves on the Board of Trustees of Venice Regional Bayfront Health, as well as serves on the Advisory Board of the Salvation Army. Emilio is a retired Firefighter from the Detroit Fire Department after 28 years of service and a 13 year veteran of the Sarasota County Fire Department. 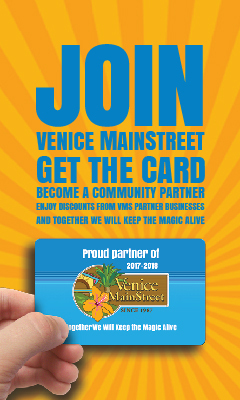 Venice MainStreet membership is comprised of supporting business members and community members. With a long list of yearly events and promotional activities, as well as the constant beautification efforts of the Avenues, the supporting members play a huge role in the prosperity of downtown. So next time you see Emilio around town ask him about how you too can support Historic Downtown Venice through a yearly membership and help keep the magic of Venice alive.